So lots of figures is my thing. I’ve practiced it for many years in a variety of media, but none moreso than fondant over the last decade. 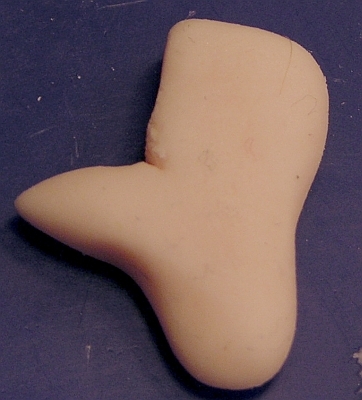 To be clear, when I say “fondant” I mean my homemade recipe without any Tylose or anything to turn it into gumpaste. I’ve used commercial fondants, I’ve used gumpaste, I’ve used different recipes, but I always come back to my main homemade recipe because I’m familiar with it, I know how to tweak it to my needs, I know its limitations and what can be pushed, and most importantly I know it’ll dry rock-hard so I can get pretty elaborate with my sculptures. If you like another medium, use it; just be aware that it might behave differently and you should adjust accordingly. This tutorial is not about elaborate sculptures. This is the distilled basics of how to make a quick human figure with vaguely realistic proportions, simple clothing, minimal internal supports, and all in one go instead of requiring drying time of separate pieces. With practice, I believe anyone can use these instructions to make great figures on their cakes and use this knowledge as a foundation from which to branch out to more advanced techniques such as standing figures with arms outstretched. To keep things simple, I’ve made a generic person of ambiguous gender in non-descript clothing and a neutral pose. If you wish to replicate a specific character, do a Google image search for pictures of that character (especially if you can find a toy version that has mapped out the sculpting for you) in as many different angles as required. Certain characters and dynamic poses may require more advanced techniques. A note about the photos: I tried to be fancy in taking the photos for this tutorial and it backfired on me badly. As a result, the colours are a bit off. Hopefully they’re good enough to communicate the point even if they’re not great. If you have any questions, feel free to post them as comments and I’ll answer as quickly as possible to the best of my knowledge, but keep in mind that I’m a busy person so don’t post an emergency question and expect an immediate response. Remember that this is one person’s methodology. Your style may vary. Nothing here is a rule (other than physics), so tailor this to your needs and preferences. 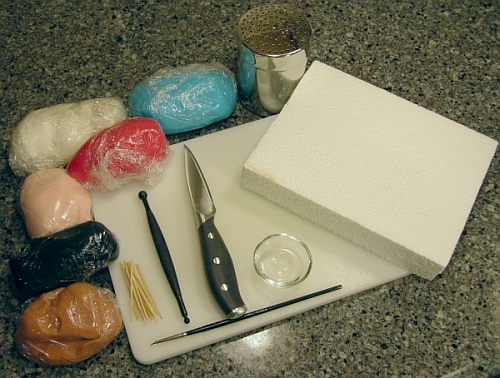 Assorted materials and tools for making a basic fondant figure. In all of my crafting, I avoid unnecessary expensive tools and try to use what’s around my house already as often as possible. I carry this philosophy through to this tutorial and try to keep the amount you need to purchase to a minimum. A sprinkle canister containing either powdered sugar or corn starch depending on which you prefer or the instructions that come with commercial fondant (I prefer powdered sugar). If you do not have a sprinkle canister you can use a spoon to scatter the sugar but it won’t be as evenly distributed. A medium or small ball tool. Human Figure. To save, right-click and "Save Link As", or click it to load it into your browser and save it directly. I learned the hard way that I have a tendency to start part of a figure off at one scale and then gradually increase until half the figure is disproportionate. It’s also difficult for me to make several figures all come out at the same scale if I just eyeball them. For that reason, I started using the template shown above to size my figures. Simply load it into whatever graphics program you prefer (I like Irfanview) and set the height to the height of your desired figure, then print it. It’s also fabulous for planning a cake in terms of being able to size out where figures will be before making them, so if it turns out you need to make them smaller or bigger, you can easily print out another template sized accordingly and check the fit before committing yourself in fondant. As you’ll see in the photos throughout this tutorial, laying body pieces right on the template will help ensure that you stick to one scale and don’t end up with giant heads on tiny bodies or vice versa. However, keep in mind that it’s just a model; if you’re making a more plump figure, feel free to go beyond the lines as you require. For this tutorial I sized the graphic to 5.5 inches high. Fondant is sticky. To roll it and handle it without it sticking to your board, fingers, tools, etc., sprinkle powdered sugar on your work surface and keep your hands regularly dusted as well. Don’t worry about it being all over your figure; you can clean it up afterwards. To stick pieces of fondant together, brush a thin coat of water on one of the two surfaces and then press them together. You might need to wiggle them a bit to get them to stick, but water is usually enough. Some folks like to use various edible glues, either home-made or purchased, but I almost never need to bother. Water is almost always good enough for my needs, and it’s cheap! 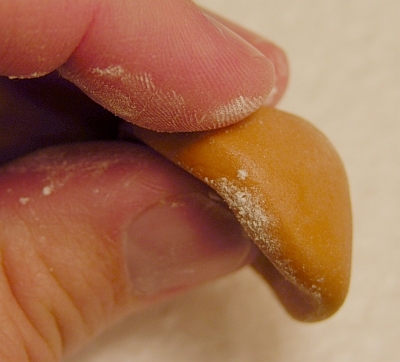 If you are in a dry environment, you may need to soften your fondant to prevent it from cracking by adding a bit of water and kneading it in, and/or warming it up in your hands. Working quickly also prevents things from drying and cracking as you go. 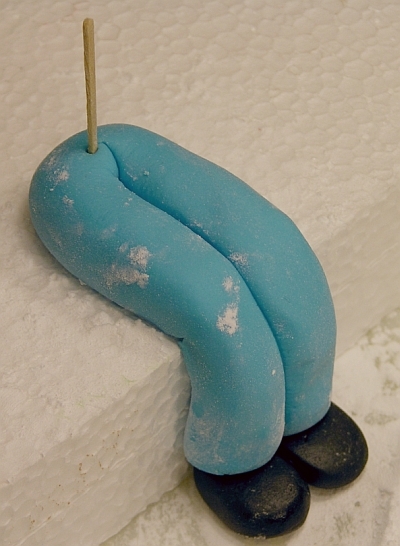 If you are in a humid environment, you may need to stiffen up your fondant with a bit of extra powdered sugar kneaded in and give pieces a bit of extra resting time between steps so they don’t slump over. If you are in some kind of crazy science-fiction mixed environment or extreme climate, please send me a picture of your finished figure because you are inherently awesome and I want to see your result. If you experience four seasons in one day, you are in Melbourne. 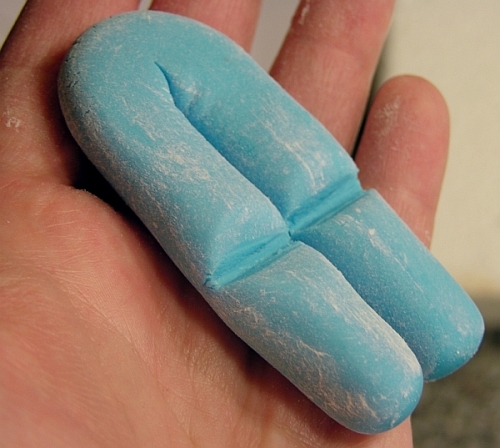 Roll a long snake of fondant in the pants colour so that it’s about the right thickness relative to your printed template. It’s best to err on the side of too long rather than too short. Use the blunt back edge of the knife to make an indentation at the crotch and then bend the snake inward at that point. 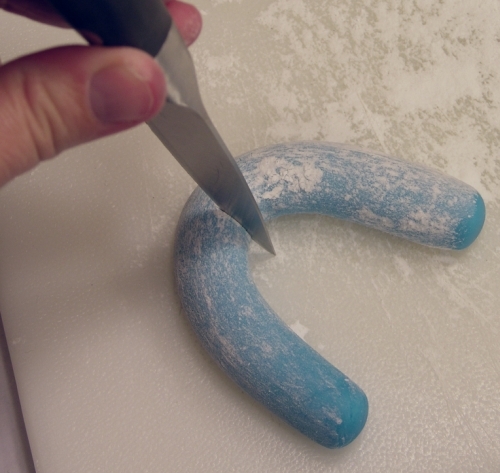 Indenting at the crotch helps bend the snake without excess fondant bunching up in the bend. Note that I accidentally used the sharp side of the knife in this photo. No biggie, but the blunt side works better. Lay the bent snake down on your template so that the curved edge is at the top of the hips. If necessary, cut at the ankles to trim to the correct height. Laying the legs on the template. Flip the legs over to they are beside the template. Use the blunt side of the knife again to indent at the knee line. You are making knee-pits so it will once again bend without bunching up any excess. Lining up with the knees on the template helps ensure proper leg length. 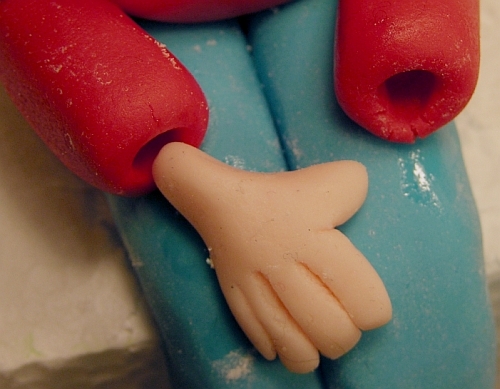 If you are building directly onto a cake, you can wet the underside of the legs and attach it now. 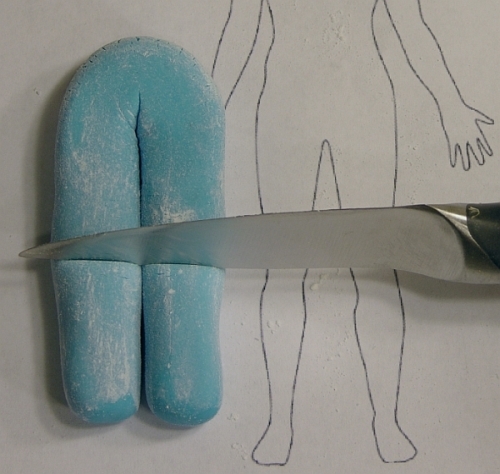 However, I made this figure on styrofoam to be mounted on a cake later, so the rest of the directions will continue with that methodology (be sure to check periodically that the figure hasn’t stuck to the styrofoam). Put a good amount of powdered sugar on the edge of the styrofoam to ensure the legs don’t stick, the gently bend the knees and sit it down on the edge. For added stability, run a little bit of water between the legs with the brush and press them gently together. 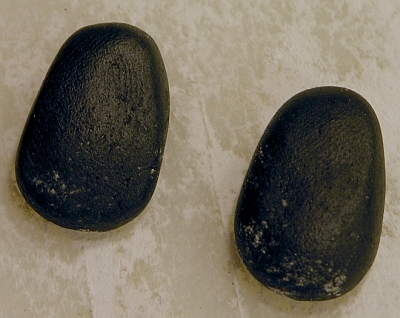 Make two even balls of black a little larger than the feet on the template (shoes are actually quite large compared to feet, unless they’re thin slippers). 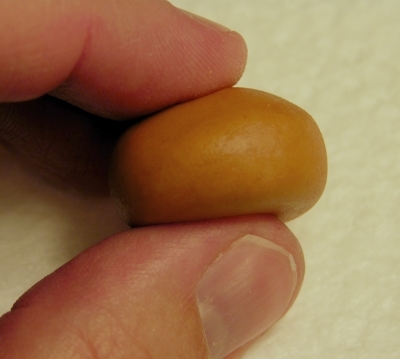 A trick to making two equal-sized balls is to make a fat sausage with flattened ends, then cut it in half. 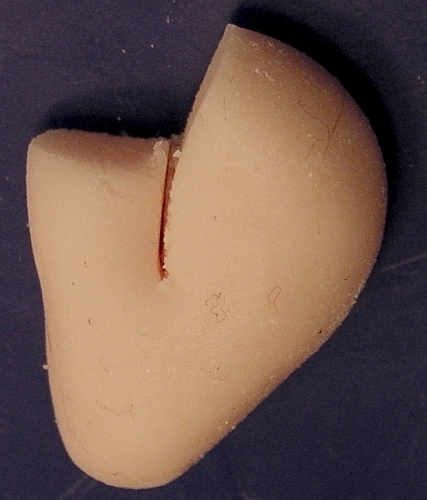 A short fat roll cut in half helps make two equal-sized balls. 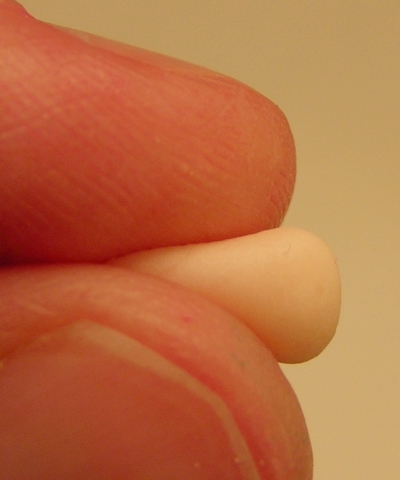 Roll the balls into dull teardrops (ie tear drop shapes but without much of a point), then press lightly flat. 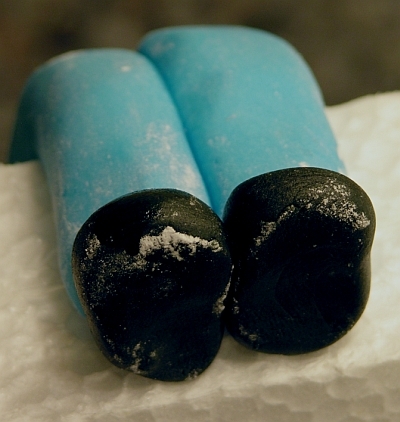 Make broader toes for cartoonish or male feet, narrower toes for dainty or feminine feet. Break a toothpick in half and insert each half into a lower leg with enough protruding to hold the shoe on. This will help prevent the feet from falling off. Put a bit of water on the shoes, including between them (and on the back if you’re mounting directly onto the cake), then press them into place on the toothpicks. If it feels like the toothpick might poke through, just push up on the whole thing with your thumbnail to shove the toothpick higher up into the leg. Push a toothpick down through the hips so that it goes into the styrofoam or cake a little as an anchor, but the rest sticks up to support the torso. Prepping the legs for the torso to be added. Make a slab for the torso, wider at the shoulders than at the waist for a standard person. Thickness will vary based on your overall size but about a half inch is good. Lay it on the template; it should go to the top of the shoulders and down as far as the hips where you laid the legs. The top edge should be smooth, but you may wish to lightly indent the bottom if your figure will have a shirt hanging over their pants. Matching the torso to the template. With some water to join, slide the torso down onto the supporting toothpick until it rests stably on the hips. Placing the torso on the hips. Gently push down on the sides to make the bottom edge sit flush with the hips, or to stretch the shirt down as desired. Roll a long snake in the shirt colour. Again, longer is better than too short. Lay it on the template along the arm with the hand exposed. Cut it on a sharp angle along the body’s vertical line. Note that if you were making an arm that would stick out, you’d want to cut on less of an angle. This sharp angle is so the arm will sit flush against the body with the hands in the lap, because that’s easier to do without needing internal supports or drying time. I tried to take this photo while cutting at the same time and it came out blurry with the knife at the wrong angle, but hopefully it conveys the basic idea! Repeat for the other arm with the opposite angle, ensuring that they are the same length. You can do this on the template or by lining up the arms together, whichever works for you. As with the knee pits, make the insides of the elbows with an indentation with the dull edge of the knife. Be sure to line it up with the elbows on the template. Bend in toward the indentation, then gently pinch out a bit of a point on the backside of the elbow. Knees are fairly smooth, but elbow should be a little bit pointy. If the arm feels floppy, add a bit of water into the indentation to glue it together. Use a ball tool to make a round indentation in the cuff. You will later insert a wrist in here. It doesn’t need to be deep, just enough to make it look like a hand coming out of a sleeve instead of a disembodied hand stuck to a flat pole. This small detail adds a lot of realism to the arms and hands. Wet the entire length of the inside of the arm and press it against the torso and legs. As you mount the arms, gently shape the shoulder as desired. Take care not to squish the torso if it is still soft! Don’t bring the cuffs too close together unless you plan to overlap the hands, which can be tricky to do without making the hands bend at an unnatural angle. 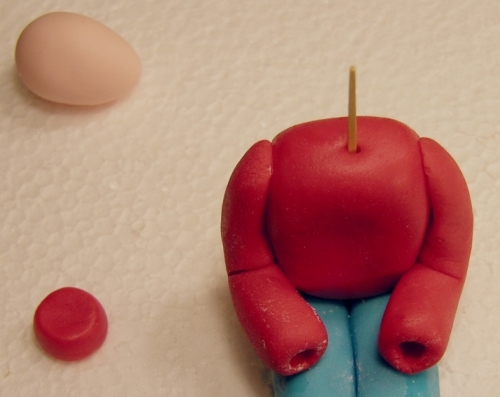 When you’re done, insert another toothpick that can later support the head. Push it down far enough that it won’t be sticking up out of the head (if it does at the time, you can push it lower, or if the torso is too dry, you can trim it with some wire cutters and hide the hole with hair). Leave enough of a gap between the cuffs to fit both hands in later. 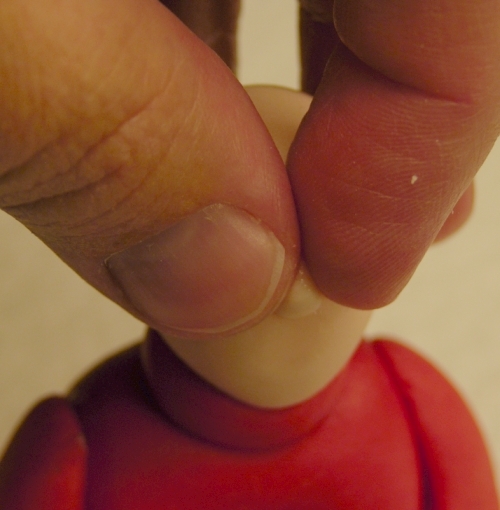 Leave the arms to firm up a bit before moving on to the hands. 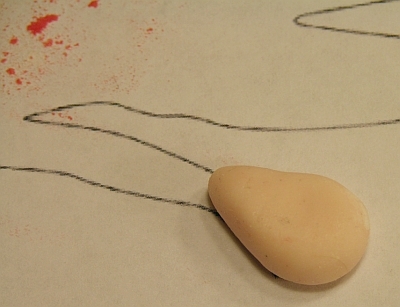 Roll a teardrop shape in flesh tone for the head. Lay it on the template so it just covers the edges. It is better to err on the side of too small in this case, because you can build up hair bigger to compensate later, unless your figure will be bald, in which case you need to take care to size the head very well right now. That point is the chin, not the neck. 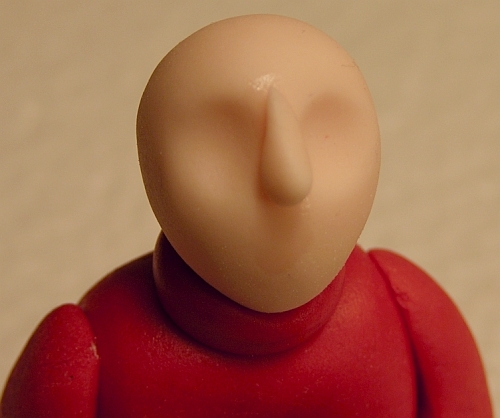 To avoid having to make a flesh neck, which can be tricky to do well, cheat by making the sweater a turtleneck. Make a small fat disc of fondant. Slide the disc down the toothpick into place. Indent it in front with the ball tool to accommodate the chin. If your figure is going to be looking to the side, make the indentation in that direction accordingly. 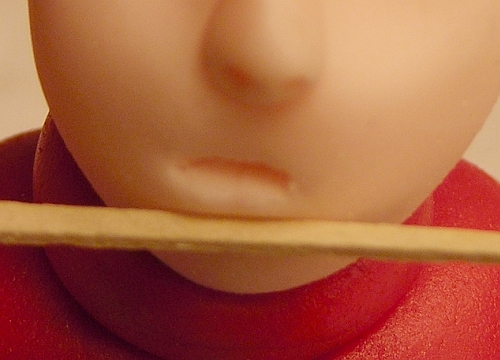 Gently press the head down onto the toothpick on an angle so the chin is pointing outward a little. If you push it straight down, it’ll look like a balloon and then sag! You want the chin to be pointing forward. Look at your own chin in a mirror if necessary (in fact looking at your own body regularly is a good idea when sculpting the human form!). 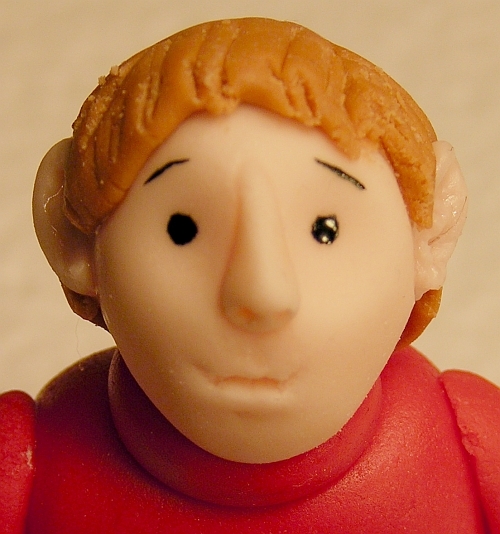 For a super-simple face, you can skip the next sculpting steps and simply paint on faces with black food gel as I did with some of the figures on my daughter’s second birthday cake. 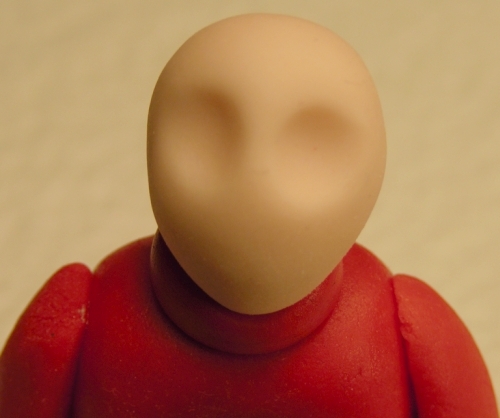 Otherwise, keep following the next steps to make a more three-dimensional face. 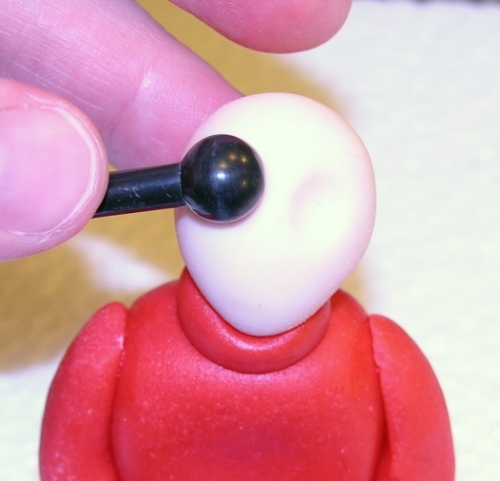 Use the ball tool to gently make indentations for eye cavities. That’s the whole curve into the skull, not just sockets. Be sure to support the head as you go so it doesn’t squish or get knocked off. Go slowly, widening out the cavities as much as desired. You can feminize them slightly by sweeping the ball tool out to the sides a little. This is forming a brow ridge and cheek bones all in one go. Make a super-small teardrop for the nose. Pinch it so the top is stretched, then give the underside a little pat to flatten it slightly. Mount it on the face so the point is at the brow ridge. Pinch down with a bit of pressure to stretch it into place at the same time as adhering it to the face. You may wish to wet your finger a little and smear the top tip into the forehead to blend in the edges, but don’t worry about it if you think this might distort the soft head (I usually make heads over several days now with drying time so I can do more smoothing). 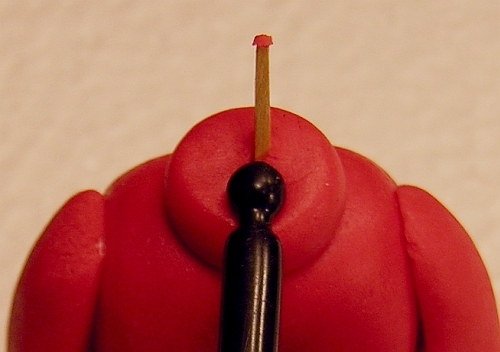 Use a needle tool or the sharp end of a toothpick to make nostrils. Pulling out as you go a little will help define the sides of the nose. For African noses, pull out further, less for Anglo noses. This is the appropriate time to make juvenile jokes. Go ahead. You know you want to. It's okay. 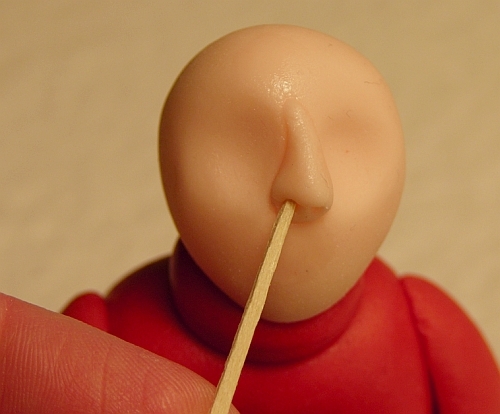 For the mouth, you can paint one on or sculpt it. For the latter, start with a sharp knife point incision. Make a sharp incision to start the mouth. 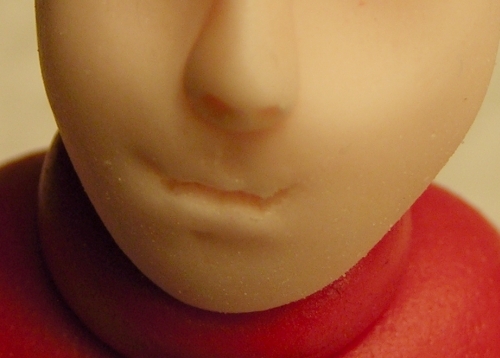 As you withdraw the knife, pull down slightly to pull out a lower lip. 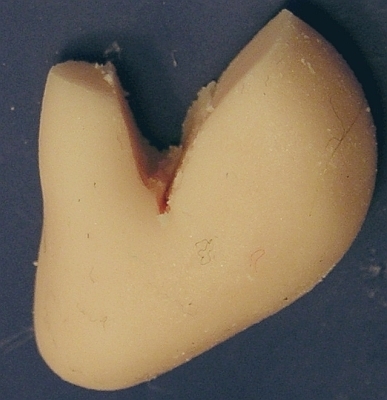 Pulling down turns it from a robotic-looking slit into a pouty mouth. Shape the underside of the lip and close the mouth a bit by pushing up with a straight edge, such as the side of a toothpick. Pick up that pouty lip before you trip on it, youngster! 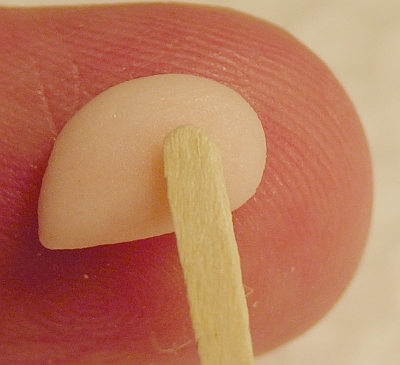 Use the rounded end of a toothpick to gently indent the upper lip in the middle. 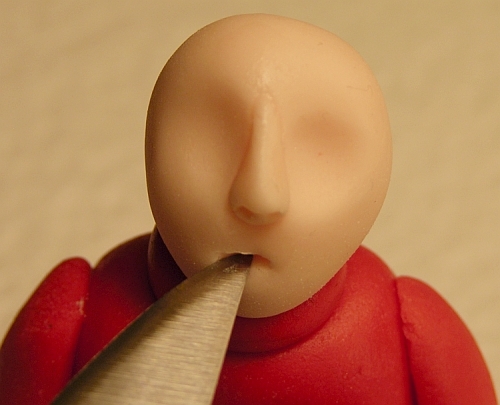 To turn the mouth into a smile, use the tip of a sharp knife to very gently make small slits pulling upward. Resist the urge to cut a long smiling mouth unless you’re making The Joker from Batman, because a long-cut smile will come out creepy like that! Gently tease out a small smile, but don't go overboard or it'll get maniacal fast! Let the head firm up a bit while you make the hands. 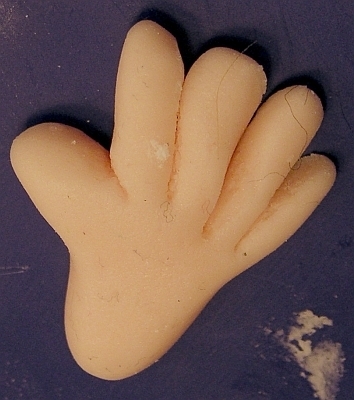 The ultra-simple method to making hands is to stick to a simple mitten-style hand with no finger definition. That works fine for a basic figure, especially on a cartoonish character, so feel free to do that it you’re a beginner. For those who want to know how to cut more realistic hands, here are some instructions. Note that this takes a bit of practice but is easier than it looks. I taught my daughter how to do this at age 4 and she got it right on her second go. Just follow the steps and take care not to mangle it as you put it into place later (although if you do, you can always re-cut the lines). Start with a flattened tear-drop sized to the template. Big hands will look more masculine, smaller will look more feminine. Beginners frequently make the hands too big and chunky, so err on the side of smaller. Next, decide which hand you’re making: right or left. Put your own hand out beside the one you’re about to cut. Which way does your thumb point? Make sure you’re cutting the thumb out of the proper side. Check, and check again. Having once accidentally made 12 left hands for a series of figures instead of 6 right and 6 left, I have learned the hard way to check this frequently as I go. Learn from my foolishness! Cut the thumb from the same side as yours points. Cut a right-angle wedge out of the hand as shown. This begins the shaping of the top of the thumb. Cut further down along the thumb line. Cut down the thumb line. Cut another small bit out along the inside of the thumb to shape it. I used to just shape the thumb without cutting but they always came out too chunky. This really helps size it right. Square up the rest of the fingers. 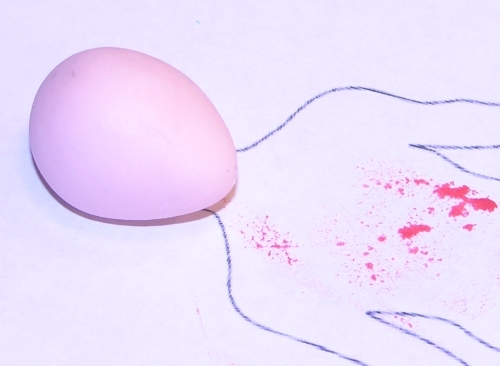 This will help avoid having a tiny, sharp pinkie. 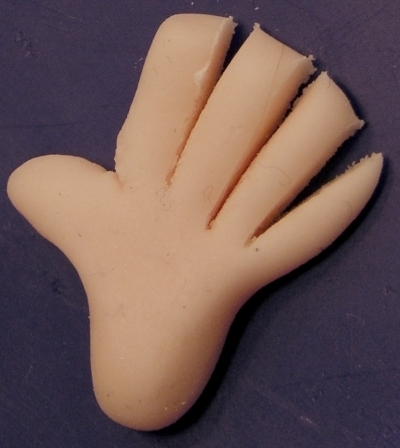 Make three parallel cuts to form four fingers, or two cuts for a cartoon three-fingered hand. Be sure they are parallel or else the fingers will turn out wedge-shaped. Feel free to return to that juvenile mindset to declare that you're giving your figure the finger. 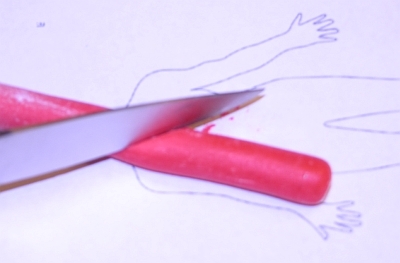 Gently use your own fingertips to roll the tiny fingers to soften the cut edges. This is the hardest part and takes some patience. Be sure your fingers are dusted with powdered sugar so the fingers don’t stick to your skin. Also, try to work quickly, especially in a dry climate, because this little hand will dry out fast and a small crack will break off a finger. Pay no attention to the globs of black lint. Ugh. New rule: only white towels in a cake decorator's kitchen! If you stopped there, you’d have a decent little hand. But it does look a bit slabby. Here’s a trick I learned to really bring life into hands: form a rounded palm that gives a curve to the whole thing. Again, look at your own hand: unless you hold it out straight (which hurts after a bit), your hand has a natural curve to it. 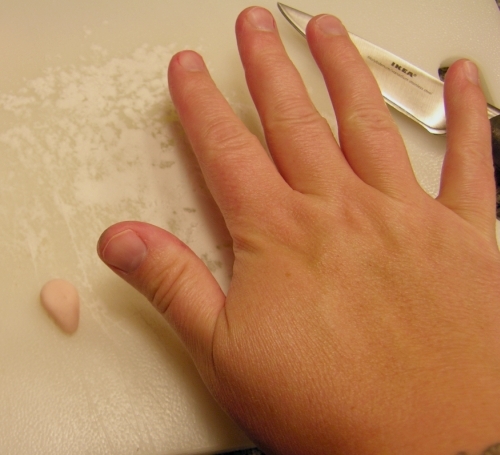 Replicate that by placing the tiny fondant hand palm-up in your own curved palm. Gently press in your ball tool to curve the whole thing. 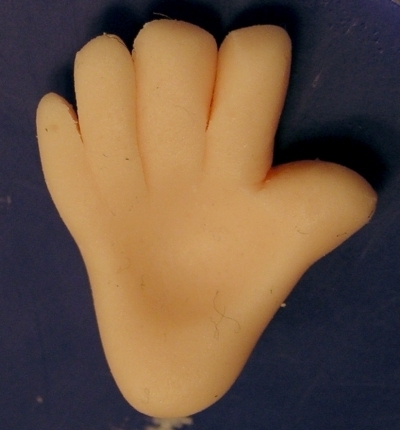 Using your own palm instead of doing this on the cutting board gives a natural shape without squishing the tiny hand. Even if you're going to mount it palm-down, this really does improve the overall look. Gently pinch the back to form a bit of a wrist. Put water into the cuff of the sleeve and on the leg, then slide the hand into place. Give your figure a hand. Hey, that's multi-punny! Yay! If you want to add some serious detail, use the rounded end of a toothpick to gently impress nail lines on the ends of the fingers. For the record, I almost never bother with this level of detail unless a character’s nails are important. You can also paint the nails with a bit of white food colouring, or even other colours for painted nails. Give your figure another hand. Yes, I already made that joke. I live with a five-year-old child; puns get repeated a lot around here. If you want the figure to be holding something, make it in advance to ensure it’s completely dried, then let the fingers curl around it. A tight fist takes some practice, so start with basic hands like these, then the hand over something in the lap or to the side, and work up to something being held in an outstretched arm. Hair can be made in many ways. 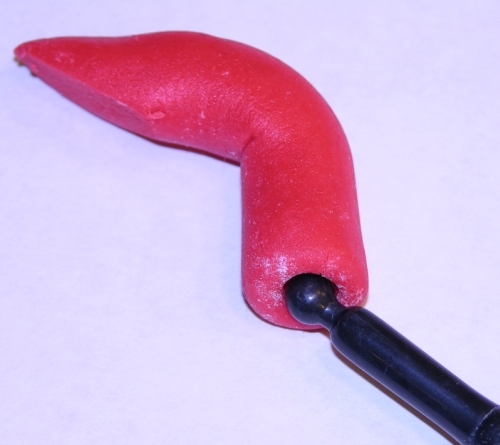 Running fondant through a garlic press or clay extruder will yield ropes that can be individually placed on the head. However, on this scale, such hair will look like dreadlocks or a yarn wig. Those styles may suit your character (red fondant through a garlic press would be perfect for a Raggedy Anne and Andy pair), but if you want a more usual hair style, the trick is to not go for individual hairs but rather the suggestion of waves and locks. That applies in large scale as well: it is likely impossible to use any edible sculpting medium to achieve a look of individual fine hairs, so you should always plan to make broad, sweeping marks instead of hacking thousands of tiny cuts. Starting the pinch-pot bowl shape for hair. 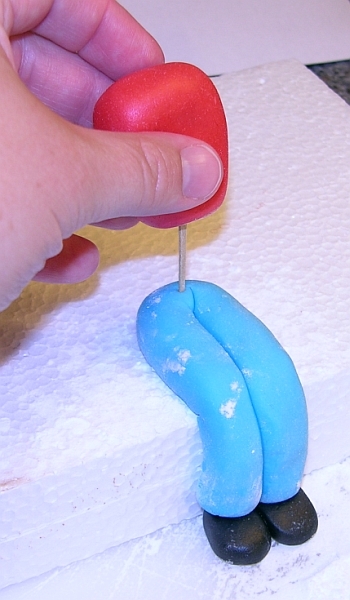 Continue pinching and turning gently, allowing a bit of a peak to form on one side as you bend the fondant around your thumb. Shaping the hair around your thumb. Checking the size loosely against the head several times as you go, pinch the little bowl out to the desired size and lightly flatten the peak. When you have the size you wish, tightly pinch long the edge to thin it and flare it out a little. A chunky edge looks like a helmet, but a thin edge retains the strength of the thick fondant behind it while allowing you to suggest hair ends and a brow line. Wet the inside of the bowl and adhere it to the head, taking care to not mangle the face as you put it on. You can use the eye cavities for pushing. Use a sharp knife to cut lines along the hair’s edge to suggest separated locks. 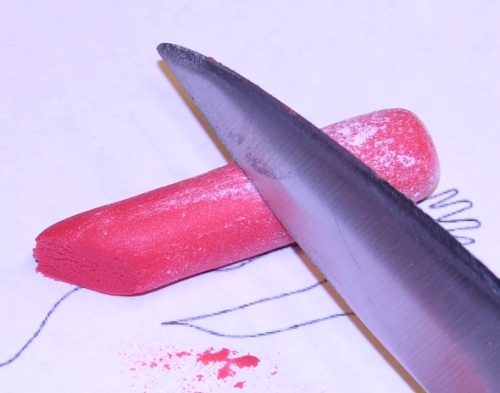 Be sure to clean your knife frequently, because if it’s gummed up with fondant, it’ll tear instead of cut. You can also use the blunt side to form a part line, if desired. If you do that, make some cuts perpendicular to the part line to highlight it. Always consider how hair falls naturally, looking at reference photos or your own hair in a mirror, and use the knife to draw lines to indicate that. Small lines in the front suggest bangs without having to hack up the entire head. Long hair can easily be achieved by pinching the pot more on one side than the other and arranging it on the head with the long side going down the figure’s back. Make cut lines in the ends as with the bangs. This was made quickly as part of a class demonstration, so it's rougher than usual but it gives the idea. You can also see how ragged the cuts appear when the knife is not cleaned frequently. This version also includes an example of a central part. Some hairstyles hide ears, so if you don’t want to fuss with ears, feel free to leave them off. Just ensure that there’s hair over where an ear should be. If you want to include ears, however, here’s how. Cut a wedge out of the hair, leaving a bit to remain in front of the ear. For men, you can leave a bit more extended down as a sideburn. As you practice and want to get fancy, you can attach a little curl cascading down in front of the ear for an elegant look on a woman’s hairstyle. 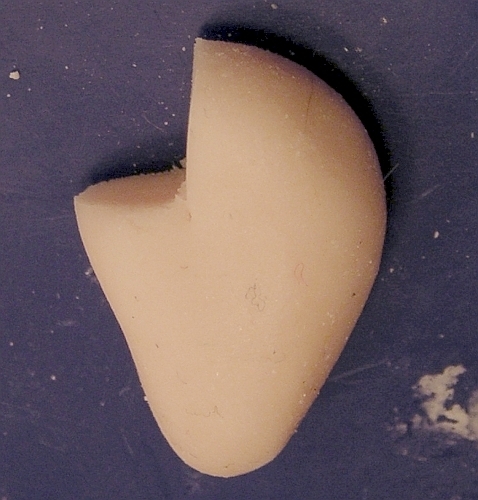 Note the angle of the cut; this will leave some hair in front of the ear, just like a real human head. Remove the cut-out hair. It’s okay if a little remains in there. You’re going to cover it with the ear so don’t fret about getting it completely clean as long as there’s room to get the ear in. You want the cut to be enough that an ear can slide in without being mushed. For the ear itself, start with a tiny teardrop shape, then nudge it slightly so it’s flat along one edge as shown in the photo below. Also note that it’s on my fingertip; these ears are tiny! Go smaller than you think you’ll need with ears lest you end up with a caricature. 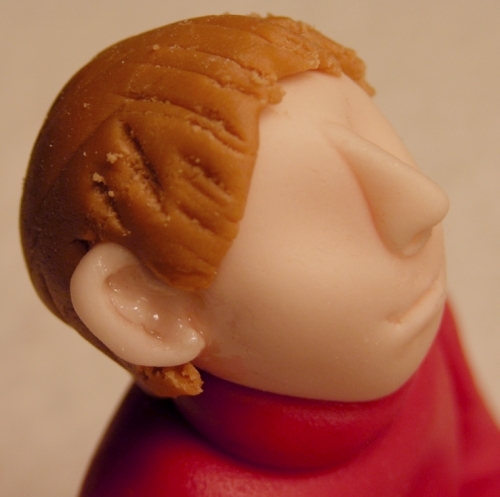 Using the rounded edge of a toothpick, make two indentations along the ear to start to form the curves and features. I find it's best to work on my fingertip at this scale so I can roll the piece off easily without it getting stuck to a board. Be sure your finger is either dry or dusted with powdered sugar. Join the two indentations along the back curve with the sharper side of the toothpick, pushing forward to form a ridge in front. 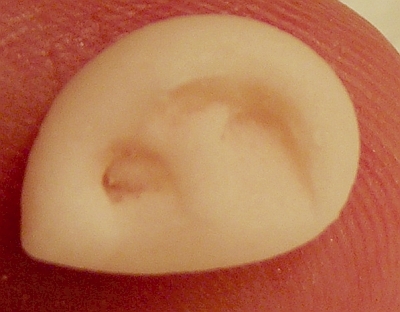 Poke a hole in the indentation near the lobe. 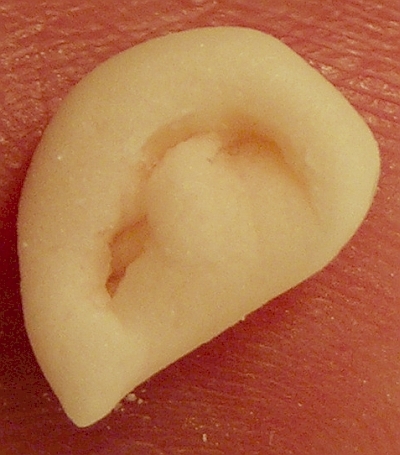 If in doubt, look at a picture of a real ear. You can't replicate every feature on this scale but you can evoke the overall impression of curves and ridges. Continue refining the shapes until you’re happy with the result, keeping in mind that it all might shift as you mount it on the head. A little finished ear. You can tell what kind and age of nerd you are depending whether you think of Van Gogh, Blue Velvet, or Reservoir Dogs first. Nestle the ear into the hole you cut in the hair. 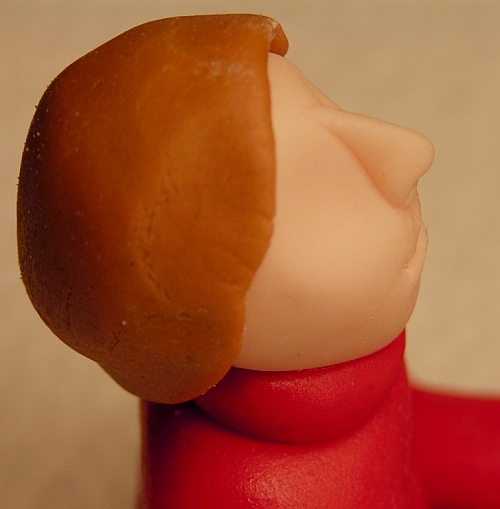 With a wet, small, soft paintbrush, blend the front middle part of the ear into the side of the head. Mounting the ear. As you put it on it'll likely start to curl forward a bit which will accentuate that outer curved ridge nicely. Look at the figure from multiple angles, especially directly from the front, to ensure the ear placement looks good and it’s not sticking out funny. If it looks too big you can try to trim it, but it might be easier to remove it and try again. If it’s sticking out, push it back as you push in or else it’ll just turn into shapeless mush. This figure ended up with its ears slightly too high which gives it a Hobbit-ish appearance from some angles. The ear should look visible from the front but not dominant, unless you're going for a funny-ear look. Repeat for the other ear, especially the part about checking placement at the end. You want them to line up properly from all views or else it’ll make the whole head look lop-sided. For this tutorial I’m sticking with basic painted-on dot eyes. They’re relatively simple, very cute, work well on this scale, and don’t get involved in the intricate business of upper lids, lower lids, upper folds, creases, irises, pupils, etc. Also, it’s easier to get a uniform direction for dot eyes than complex eyes. Ensure that the eye cavity is clean and dry. 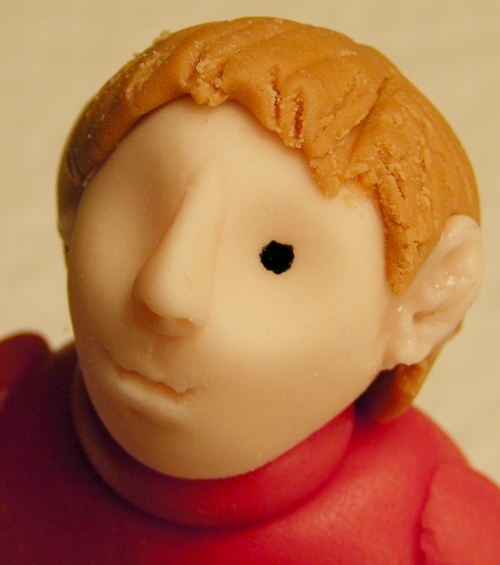 While you can brush powdered sugar off of the rest of the figure easily enough later, a painted eye might smear. 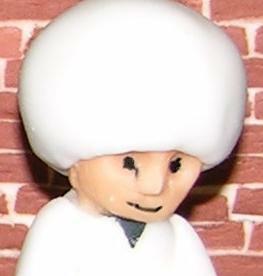 This was one of the last figures I made for my 2010 show cake. The head wasn't dry enough when I mounted the helmet, so it squished to the side and cracked. I didn't pay attention to the crack and the black gel leaked down Tammy Faye style. Yuck. So ensure the surface is clean, dry, and smooth. 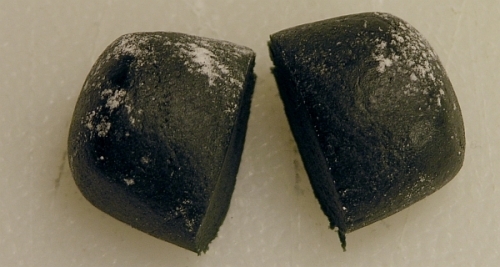 Dip the tip of a pointed small paintbrush into black food colouring gel. You want a tiny ball of gel on your brush but not a big gob. Don’t aim for the centre; the dot eyes should be a little above and to the inside of the cavity to avoid the figure looking bug-eyed. Start with a tiny dot, then slowly and carefully spiral around it to make it bigger. Stop before you think it’s big enough; better to be too small than too big. A dot works very well. If you feel skilled enough you can add lashes or a line to suggest an eyelid, but I tend to mess those up so I generally stick to these simple eyes. Face the figure directly and start a tiny dot for the second eye, taking great care to imagine that it’s a little person looking at you. This is the time to stop thinking of the figure in terms of its parts and consider it as a whole. That will help you aim the second eye properly. If you put it too far askew relative to the first, you’ll have a Cookie Monster look (of course if you’re making Cookie Monster, you’d better have the eyes misaligned since that’s a vital characteristic for him!). If your second eye turns out a bit bigger than the first, you can enlarge the first a little, but avoid getting trapped into going back and forth adjusting constantly or you’ll end up with gigantic black splotches, which is neither cute nor realistic (well there was that ongoing story arc in X-Files along those lines but chances are you’re not going for that look either). In this case I went for an upward angle enough to denote happiness without going so far as to look surprised. This is a pleasant but fairly neutral expression. There isn't a lot of interest or story, but it's nice, especially if you ignore the slightly-too-big ears. A basic, neutral, androgynous character. You can see how lengthening the side burns would make it appear more typically masculine, whereas adding dragees as earrings would make it appear more typically feminine. From this angle the hands do appear a bit too big after all, but it's otherwise a good basic figure. If you figure is on a cake already, you’re done. If you worked on a temporary surface as I did in the photos, do another check that it hasn’t stuck, then let it dry as long as possible before moving it. The toothpick in the hips should help it stay on the cake, but push it on carefully so that toothpick doesn’t push up into the body instead. 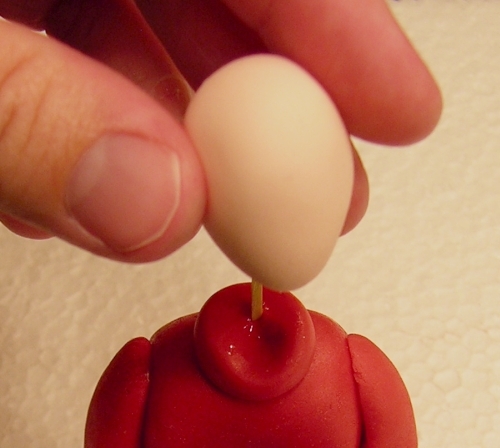 If that seems likely, make a hole in the cake where you want the toothpick to go in and then mount the figure, using a bit of extra-softened and wet fondant as glue under the backside. Once the figure is mounted, clean up any remaining powdered sugar or corn starch carefully with a damp paint brush or small pastry brush, taking extra care around the eyes or other painted details since gel colour may not dry fully and will smear. Remember that any new skill takes practice, so if your first figure didn’t turn out how you wanted, start over and try again. Once you’re comfortable with these techniques, push yourself to try new things. I have prepared a truncated handout version of this tutorial for when I teach basic figure modelling as part of the Capital Confectioners Cake Club or other volunteer teaching around Austin. I am posting it here with the understanding that it will only be used for other non-profit classes. Individuals may print it for themselves and of course charge for cakes using these techniques, but I am trusting that nobody will distribute it as part of a class for which they are paid or for other for-profit intentions. Yay! This is a cool figure tutorial – thanks. I especially like your nose and ear examples, as I've not attempted those yet, but you make it look doable :). This is the most detailed tutorial i have ever come across. Thank you so much for preparing it…i can'wait to make a cake and place this figure in it somewhere! Would you mind if i used this on http://talkcore.com ? You may link to it, but you may not reproduce the content. Thanks. 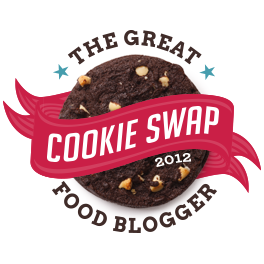 I hope you don't mind if I link my followers to this page! This is a great tutorial. Great result. I put forward on my French blog with a link to this article. Thank you for posting, great tutorial, I always have trouble with models so I am going to give yours ago. I loved this tutorial!. I am getting ready to make a boy on a bike. Would like to find out where I can get some ideas on how to mold a bike with a boy sitting on it. This is such a wonderfully detailed tutorial. I love all the close-up photos. I write tutorials on sewing, so I know how much work you put in on this one! Also went to your home page and saw your fondant recipe — I've only seen the one for marshmallow fondant, so will have to try yours. Thank you for that great tutorial. I am going to give that a go and pray that it looks half as nice as your model. Something new for me to add to my cake decorating skills. This is a great tutorial, but unfortunately the photos from the hair down are missing. Is it possible to have them re-posted as I would love to see the finished model? I see the photos on two computers and in multiple browsers. Try refreshing or a different browser. Thank you so much for this tutorial! I have been searching for some help like this for ages. Lots of sites have photos of finished models but they don't show how to achieve it and being a beginner I need as much help as I can get. Thank you again for being so generous in sharing your knowledge. This is brilliant, I've been searching a while to find help creating a person. I've just made the top half of a lady, torso upwards to sit on the top of a cake but it's my 2nd attempt and the torso still shrinks despite having a cocktail stick through the middle, it squashes down and looks shorter and fatter than I want it to. Any tips greatly appreciated. Thanks for the tip, I will try that next time. Cracks are actually appearing on my figure without having added anything inside it, do you know why that might be? you are amazing!, thank you so much for this great tutorial! Oh my gosh! This tutorial was amazing! 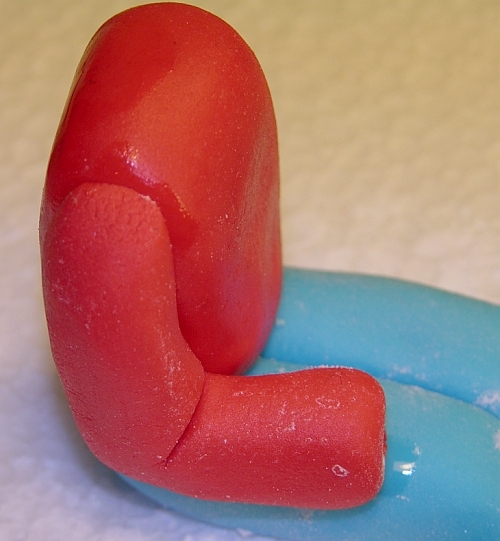 This is my first time making fondant people, so I'll follow these great steps! Hope to make them look nice 😀 Thank you a lot! Thank you so much for sharing this…I am just starting to work with fondant and I was looking for a tutorial to make animals, specifically circus animals for my nephew's 1st birthday. Your tutorial is so inspiring, thank you again! thank you so much. It will be a great help..been looking for such tutorial and so thankful i’ve found yours..Godspeed! Great tutorial, clear & eassy to follow, Thank you . Beautifully written tutorial. Thanks for taking the time to do it. This is a GREAT tutorial…thanks for sharing! Thank you so much! this is extremely detailed and helpful! I could not have found a better tutorial. Much appreciated! this is just pure GENIUS!!!!!!! At last!!! It took me ages to find a site that told me in words of one syllable (and some amusing anecdotes!!) how to make a figure. Now I just want to get started, but as it almost midnight, i might have to wait until morning!!! Thank you SO much!! ps, it was great to see that yours (by your own admission!) wasn't 'perfect'. That gives me lots of encouragement! Thank you for the amazing tutorials, it was very detailed and easy to follow. 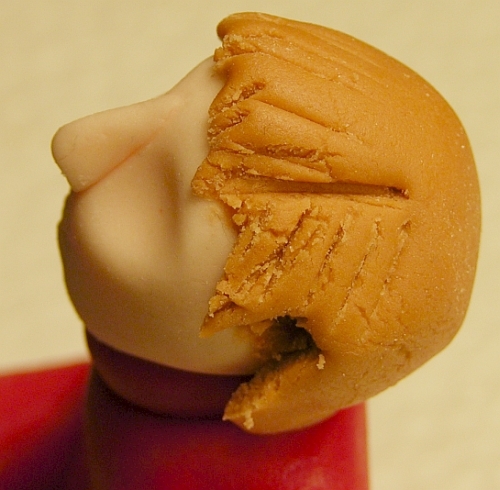 I was making my fondant human figure, but it was so troublesome so I browsed for tutorials on the web. I was so glad that I stumbled into your web. It was very helpful. Thank you so much for this amazing tutorial I have learned a lot…. 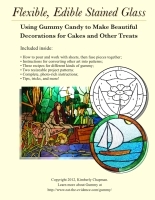 Awesome tutorial, cant wait to try my hand at decorating with fyour fondant recipe!!.. ps How would i store this fondant and how long will it keep? This is the best tutorial I have ever seen. Thanks for sharing your knowledge. OMG this tutorial is amazing! Thank you!! Thank you so much for this tutorial . It is really very helpful . Got to make a cake with figures next week God bless you. Thank you so much, Kimberly, for your wonderful, and enormously detailed, life-saving tutorial. 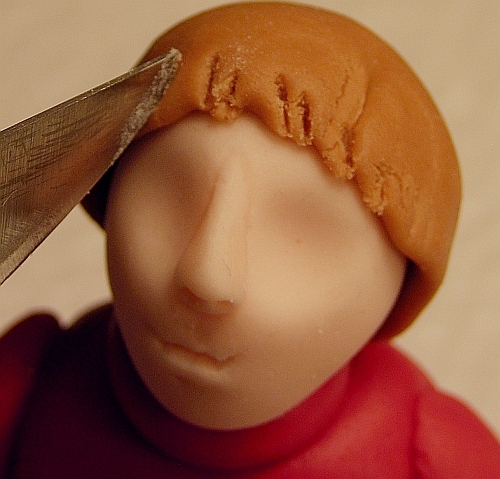 I'm making a barmitzvah cake for my cousin's grandson and I have already killed off his model twice. So, after intensive study of your tutorial, and copies of some guiding pictures, here goes Liahm take 3….. Thank you for posting this! My daughter is turning five soon and she keeps telling me that she wants some sort of miniature fairy figurines on her cake. I haven't been able to find any cake toppers that really work so I was thinking I'd make some edible ones. 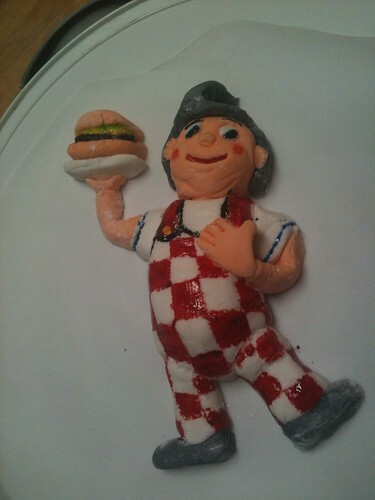 I've done a bit of sculpting with fondant before but was wondering if you have any ideas for me. Thanks again, you are so talented! PLEASE DO OLD CARTOON CHARACTERS INCLUDING POPEY,OLIVE OYL, PINK PANTHER, BETTY BOOP,FELIX THE CAT,SMURFS,LOONY TUNES,TOM AND JERRY, POWER PUFF GIRLS, ECT!!!!!!!!!!!!!!!!!!!!!!!!!!!!!!!! I have to be careful about doing licensed characters in any way that could get me cease and desisted or sued, sorry. However I am working on several improvements to the blog right now and will soon be putting up more basic tutorials for things like animals, standing people, etc. 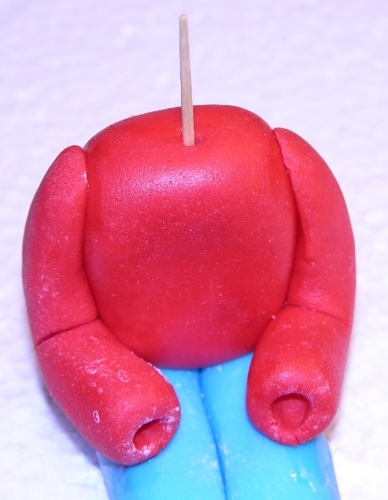 i just made my first ever fondant man following your tutorial… God bless you for sharing this…..
Hi Dee, I had to google what that is, but that's also my first advice: find images via google's image search and print those off, especially one in the proper size. Then you can lay bits right on the printout to size them and keep things in proportion. I'd also do him sitting down if you're still new at this. He has extremely thin ankles and to do him standing, you'd need to make a wire armature in advance. You just won't be able to support all the upper body weight on those thin ankles otherwise. The reason I use my fondant Marvin the Martian as my avatar all over social media is because it was a deceptively advanced figure in that he too has a lot of weight resting on tiny ankles. In his case I did a toothpick instead of metal because he's short enough and because it was going on a styrofoam cake. See if you can find other pics of the figure(s), especially that show it from multiple angles out of the box. That's a really good way to make any figure. GREAT! Love modeling, but every time I tried to model "people" it was a total failure. Your tip with the printout is great, I will try this and your other tips. You do awesome work, what a great tutorial! Thank you so much! Great tutorial… thank you so much! 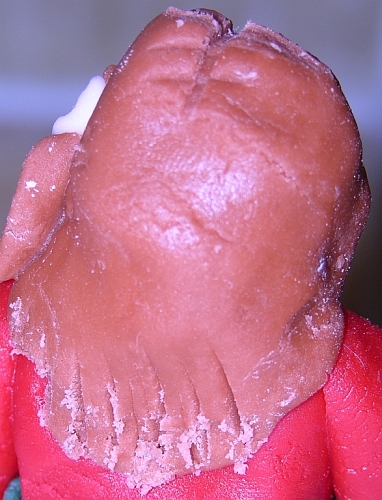 It is nice to know that I am not the only one that gets bits of towel fuzz in their fondant work! Hi I just want to say thank you so much because I have a babyshower coming up Saturday and I been working on a man and pregnant woman. For the past two days and it’s not working.. it won’t dry it keep cracking .so thank you im going to try this today but I do have one question after I mix the fondant then can I color it because I don’t want to make alot of fondant in just one color.. thanks so much…. What a great tutorial,thank u soooooooooo much.can’t wait to practice it. Hi Fiona, the issue with attaching dry to dry is that you have to use something wet to attach them, and fondant is very good at pulling moisture back in. Also, it's very easy to mistake a piece for being solidly dry when it's actually still soft inside. Your cracked legs almost certainly weren't dry throughout, and the pushing you did to attach was enough to crack them on the inside, which then spread to the outside. That being said, when I make a lot of figures I actually do them assembly-line style allowing pieces to thoroughly dry in between. But I really mean thoroughly, and that can't be done on a very rainy/humid day, or quickly. I also use my homemade fondant recipe for this over and above commercial ones because that stuff dries rock hard faster than the rest. I also use foil in the chest and head so the fondant itself is very thin, and I often even use wire or toothpick armatures throughout for extra strength. Further, I'm usually attaching a still-soft piece to a dried piece, not two dried pieces together. For instance, I'll make torsos (with foil in them and either a hole for a toothpick already made or more likely a toothpick sticking up out for the head later) and let those dry for 24-48 hours. Then I'll come back and make basic heads and while those are still soft, add them to the dried torsos with minimal water used. Then I wait for those heads to dry 24-48 hours and then come back to add details. And so on with limbs (although for standing figures I start with the legs, usually on wire armatures). I do sometimes pre-dry arms before attaching, but that's if I want them to stick out and for some reason don't want to use a wire armature. 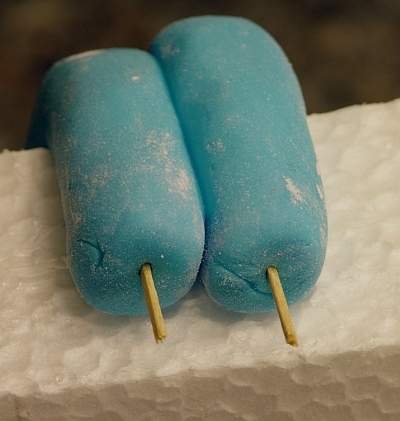 In those cases, I need to ensure they are very carefully shaped to fit precisely to the body with just a bit of wet fondant in between, and then have everything fully supported to dry on. In other words, yes you can do these things but they are advanced level techniques. 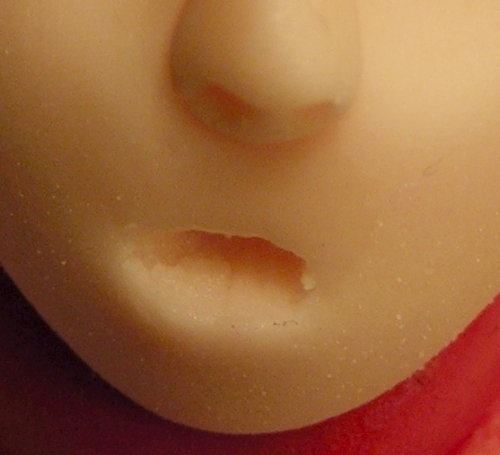 You really need to know about figure construction, how your fondant works in your environment, etc. I would love to see you do a tutorial using the armature system and the foil method. This is a really nice tutorial but we all know there is more to learn and it seems you have the key to the next phases. I'd love to as well but these tutorials take a lot of time to make and with the new baby, it's not going to be any time soon I'm afraid. Hi! Thanks for an awesome tutorial! How far in advance can you make the figures? I’ve never done it before so want to get practising! And the best way to store them once they’re made? If made well and kept in dry conditions, they can last for years, but aren't edible that long, obviously. For general edibility, I frequently make figures up to a month or so in advance and keep them stored in a cupboard or otherwise in a dust-free location but not sealed up. If you seal them up tight they may not dry hard or can even absorb moisture from fresher pieces nearby. It also depends on what fondant you use. 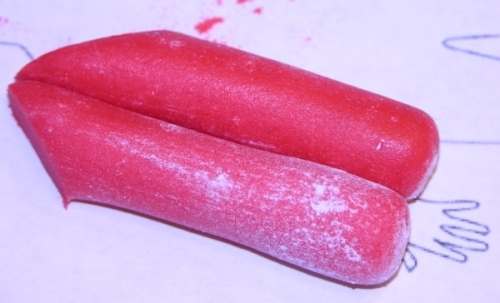 Some fondants remain pliable longer than others. Some harden to rock-like state very fast. But generally I'd say if you're making figures to go on a cake, you can easily go six weeks in advance and store them in a food-safe cupboard or open tub during that time. You’re awesome! Love the figurine. I’m making little Mickey Mouse ear cupcake toppers. I’m gonna make a small dome from black fondant (a little smaller than a ping pong ball) and for the ears I’m just going to cutout two small flat circles with a tiny cookie cutter. My question is, how do I stick the ears on the dome? I want to use something edible not a toothpick. If your fondant is fairly stiff, you should be able to just push them on to stick with a very small amount of water or piping gel and if you ensure they're balanced when you place them, they should dry in place. But they will be very fragile. If your fondant is soft and floppy, you will have to construct some kind of support scaffold to hold them up while they dry, or else dry them first and then put them on, but that will be tricky to get them to sit flush against the curve of the head. If she has no internal support, then yes, that's because the upper part was too heavy and slumped. Standing figures need internal support, or at the very least days and days of drying to rock hardness in between each stage. And even then, in some climates that won't work. Internal support is required. Thank you for posting this tutorial! I made my first figure for my sister's birthday cake the other day, and hand painted some details using gel food coloring so that he would resemble one of her favorite old-time baseball players, whom she had the good fortune of meeting a couple of years ago. The cake figure came out really cute and my sister absolutely loved it! I used my own fondant recipe which is somewhat stiff, but next time I'll have to make the figure(s) a couple of days earlier so it has ample time to dry. I had also made the torso a little on the heavy side, and he kept tipping over on the cake (even with toothpicks in place for support; although the head stayed put on the torso, thankfully! Thank you so much for this tutorial, I downloaded the handout version and had a go at it last night. It’s great to follow and easy to understand and I’m really glad I can keep it on my phone. I didn’t print out your figure but I will do as it’s such a good way to keep everything in proportion. I was really pleased with my figure, thanks. Hi Kimberly. Thank you for the tutorial it’s great. I looked through some of the links you posted and had a question about your fondant recipe. I know you said this is your preferred medium for your figures but is this also what you use to cover your cakes? Depends on the cake. I used to always cover cakes with it, and still do if it's not being eaten, especially since it does get very hard which is good on a dummy for competition. For cakes being eaten if I have Satin Ice around in the right colour I use it, but sometimes I use modelling chocolate, and sometimes I use this recipe. Sometimes I use a blend of Satin Ice and this stuff. It really depends on what I have, how much I'm willing to spend, and the nature of the cake itself. Hi. I just read your fondant recipe that you gave a link to, above. Can you tell me how much is an envelope of Gelatine? I'm going to try this for my sisters wedding cake! I have never made a fondant figure before! I'm so excited! Thanks for the tutorial! Just what am looking for, thanks a lot.. 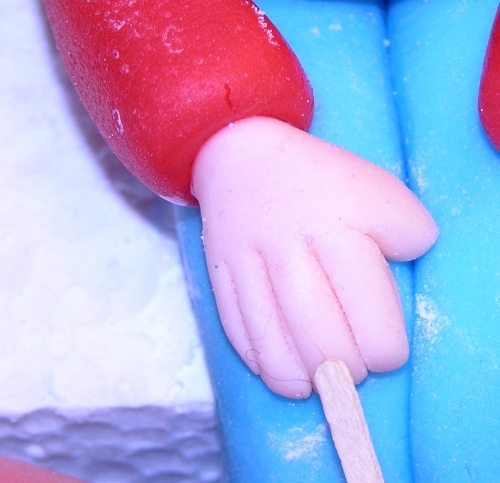 When i have made figures before, they have cracked or the arm's fallen off, or the fondant seems to slide south!!!! 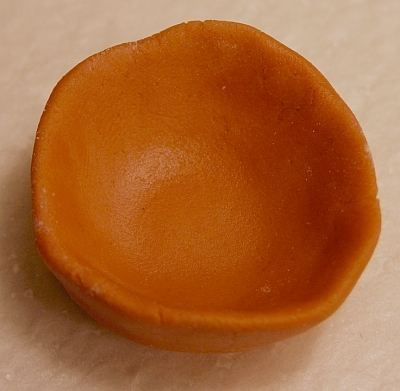 I used just ordinary fondant from the supermarket… Is there another sort of fondant to use, or can i add something to my fondant to make it more pliable? I've never used supermarket fondant and would consider it dubious. 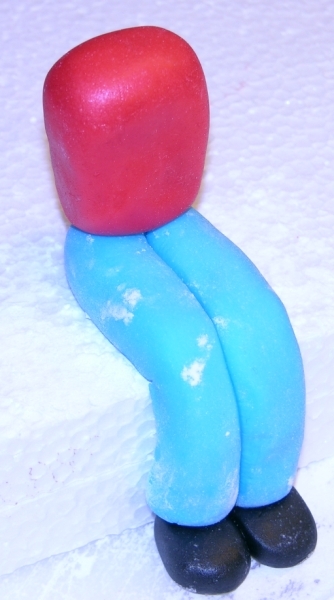 I have good success with my own fondant here: http://kimberlychapman.com/crafts/cakes/cakedec.h… I also find Satin Ice to be excellent to work with for figures. Oh, wow! I haven't finished reading this (I'm up to to the how-to-do-eyes part), but had to stop and tell you thank you. When I just now noticed how long and detailed this post is, I gasped audibly. I blog and know how much work goes in to taking pictures (yours are GREAT btw! and I promise, even though I thought about it before, I won't be buying black kitchen towels for cake making ;), then editing those pictures and posting them. And that's before the real work begins – writing up the step-by-step instructions, quintuple- or octuple-checking them to make sure they are accurate and make sense, then coming back later to fix the errors you missed the ninth time through. I spend hours and hours on a post a fourth of as long as the one you did here. You must have spent days and days on this! What you've done is amazing. The figures are incredible, but the work you put into making these wonderfully clear instructions is beyond compare. Thank you. Really, really, REALLY thank you. All that time you spent just to help us learn how to do this. Wow. Thank you so much Kimberley. This is truly detailed and easy to follow. PS loved the crack about Melbourne! Would have sworn you’re an Aussie to know that but apparently not? Hi,thank you for this wonderful tutorial. I'm a beginner at this. 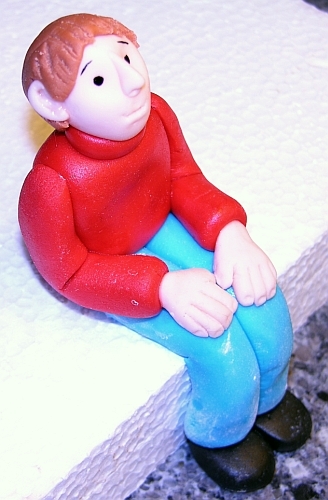 I am trying fondant modeling to make figures for my own kids cakes. I've done a sitting dinosaur (Barney). I bought white fondant at the shops and colored it with gel coloring. I kept the fondant in the fridge and spent as little time possible handling it to keep it from warming up too much. I also used spaghetti to support the head and body, but my poor dinosaur keep sagging, almost like the fondant is too soft. How do I fix the fondant if it's too soft. Please help? Hi Karien, sorry for the late reply, I was moving halfway across the world and not processing comments. You can make fondant a bit stiffer quickly by kneading in a bit of powdered sugar, but don't overdo it as this will also make it dry and harder to work with. Adding CMC, Tylose, or a similar product will also help the fondant dry faster and harder, since those turn it into gumpaste/flower paste. I don't do this often myself since those are expensive, so I am not highly familiar with their use but that's the general advice people give for soft fondant. Careful with fondant in the fridge…if you live in a humid environment, it's going to sweat when you bring it out and that could be part of the problem. I store my fondant in my pantry. But my house is air conditioned. 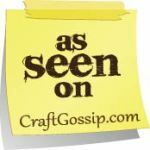 Very nice post, and helpful pics too, thanks kimberly! Thank you so much for the well written tutorial. I have two more questions to clarify.Appreciate if you can help me on these. 1.How do you remove the figure from the styrofoam without damaging the figure? 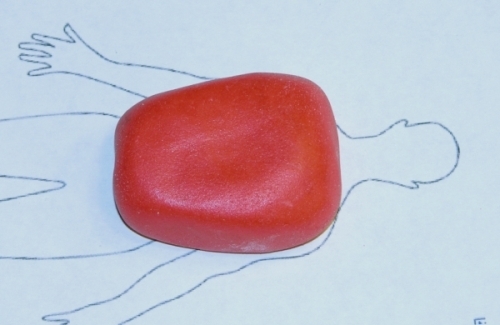 2.If this figure is made of totally fondant, once fixed on the cake will it try to sink? Hi Bhashi, once the figure is dry it should lift off easily, especially if you ensured it is sitting on a bit of powdered sugar or corn starch. If it is stuck, you might need to insert a paring knife gently under it to pry it up, and be sure to not damage any of the parts that will show. Also, be sure to lift it from the bottom and don't try to pull it from the head. If your cake is very soft and only has buttercream on it, the figure might sink into it a little bit. 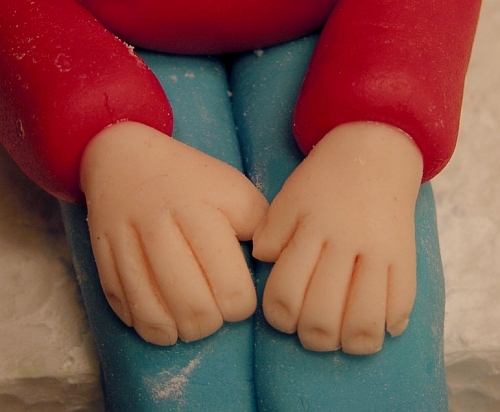 But if you have a fondant covering on your cake, the figure should sit on top just fine. The bigger danger is a super-soft cake with only a buttercream topping is that the figure will fall over or tear itself out of place. If sinking is a concern, tearing and falling is a bigger concern. I'd recommend only putting characters on fondant-covered cakes until you're experienced enough to design the internal physics otherwise. Thank you so much for your clear response! Will try as you said. Thank you for all your tips! Have a great day! I ask is someone has recommended to me to use both fondant & flower paste mixed together. What do you think? Hi Vanda, some fondants work better than others. Some stay soft for ages, so those are not good for figures because they'll slump instead of drying firm. Some dry really well. I haven't tried them all, of course, but I have had good results with Satin Ice and Renshaw for figures. 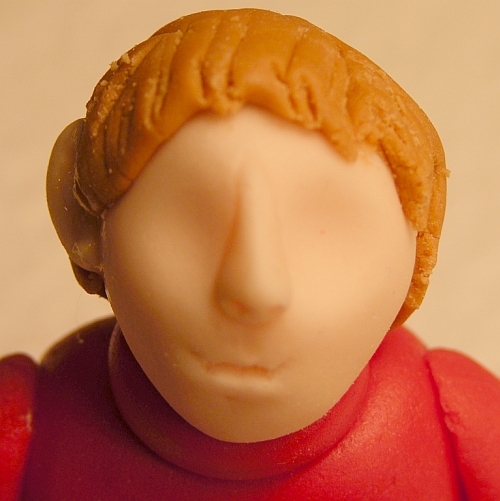 Fondx is not good for figures…it is excellent for draping effects and covering cakes, but not for figures. Hi Kimberley, thanks a lot for the great tutorial. I am a beginner. 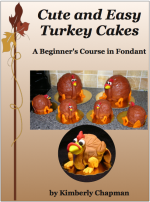 I have a problem in using your home made fondant recipe. It is difficult to find light corn syrup here in my area. is there any substitute for corn syrup please? Hi Weranga, do you have golden syrup? That works just as well in exactly the same measurements. If not, you may need to try to find liquid glucose, which is available in cake supply stores but quite pricey. Very generous of u to show this online. Thank you. I don't get most ingredients in India, but I manage. I'm going to learn how to make this. Thanks again! Fantastic tutorial, thank you so much for this and helpful pics too. Hi Kimberly – regret to inform you after paying $10/- I have not received any confirmation nor any tutorial from you as you mentioned that you saw my purchasing – I would appreciate if you could let me know whether it is in process or anything is wrong? to the peep hoo created this……..thank YOU!!!! Store bought is fine as long as you get a store bought kind that hardens, like Satin Ice, Renshaw, etc. If you get one that stays soft like Fondx, your figures will never harden. I have never used Wilton brand so I don't know its properties, sorry. Fondant stiffens a bit in the fridge but not by much, and if your fridge is humid at all, they could sweat and be ruined. The only good way to get fondant hard is to dry it. You could use modelling chocolate instead; that hardens in the fridge. You can also buy gumpaste instead of fondant. It will dry harder, faster. 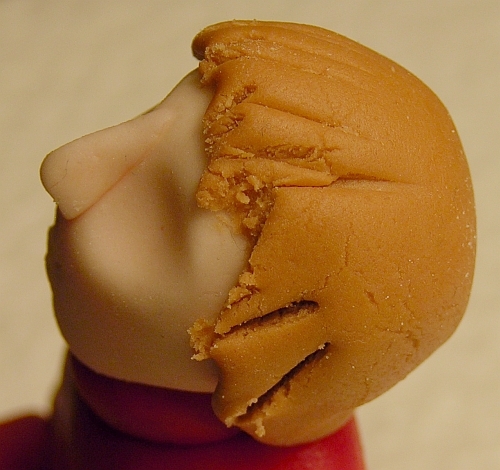 Your working time is very reduced and gumpaste (aka flower paste) is more expensive, but it will dry faster. For standing figures, I would recommend an internal armature, and/or many days of drying time, building them from the feet up. 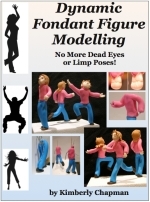 My Dynamic Figures ebook does cover how to make a wire armature. However wire isn't considered appropriate for all cakes so that may not be an option depending on your overall needs. If the figures are super tiny (like 2 inches tall or less) you can make them without an internal armature by drying them laying down and then moving them later, but they will require absolute full drying time and be incredibly fragile. so they dried in fridge hard and learned with zombie to keep fondant in package under damp towel in my metal bowl used my gel color past to help glue together. But without your page I would have had a hard time making people. You made it so easy thank you I believe my son will be surprised when he sees the figures. They choose thier cakes and I have to figure out how to do them. Yes, you definitely need to keep fondant covered or it dries out. I'm glad the page was useful and I bet your son will love it! Thank you so much for this!! Contemplating trying fondant for the first time for a mad science cake for my cub scout’s blue and gold banquet and now I have some confidence!! Your explanations and pictures are fantastic. Thank you again!! Thank you, thank you, thank you! My son and I just finished a cake for a Cub Scout event and I followed your tutorial to make two Scouts for the cake. I used marshmallow fondant, so my figures are a little slouchy, but I'm so happy with the way they turned out. Thanks for putting together such a great tutorial! Yay, and I'm so glad your son was involved too! Thanks for this tutorial I always shy away from sculpting. I think I get too caught up in making them too detailed so I’m always disappointed in the end result. Clearly I was making A LOT of mistakes though. Gonna give this one more go with a princess cake I have coming up. I also sometimes get too bogged down in detail. Those details are great for winning competitions, but generally unnecessary for everyday cakes. What's important is to find that one or those two details that are so iconic to the character that immediately make everyone recognize the character, so nobody cares about the other details. Cookie Monster needs blue fur and eyes that point the wrong ways from each other, but nobody counts how many fingers he has. Make anything with a red leather jacket and one white glove and people will see it as Michael Jackson. You don't need guyliner for a Jack Sparrow if you just make sure he's got that red bandana and dreadlocks with rough beading on them, plus the goatee. I mean again if you're doing a competition piece, make itty bitty guyliner because that'll get you points, but no general-use Pirates of the Caribbean cake needs it! And if the figure you're making isn't a specific character but rather associated with a particular thing – ie a sport, a team, an event, whatever – just make sure there's one clear thing to mark that (ie a logo, a uniform, a colour, etc) to identify that. You'd be amazed at how easy it is to please recipients if they just see something familiar…they almost never expect perfection! Good luck with it and keep practicing! EXACTLY what I was looking for! I have never attempted figures before, so this incredibly detailed, simple to follow, tutorial was like finding a treasure trove. Thank you so much for the time and effort you have given to do this for total strangers! Thank you for this tutorial. It was awesome, and so easy to follow. My figures aren't perfect yet, but they're getting there. I've only made 3 so far, and I'm proud of each one of them. I don't normally like my own work. Thanks to your tutorial, I'm gaining confidence in my cake art ability! Thank you again!!! Super awesome! How do you use the foil….aluminum?? to make the torso? Hi Zane, foil can be used to make a fast, stiff core for a torso or head. 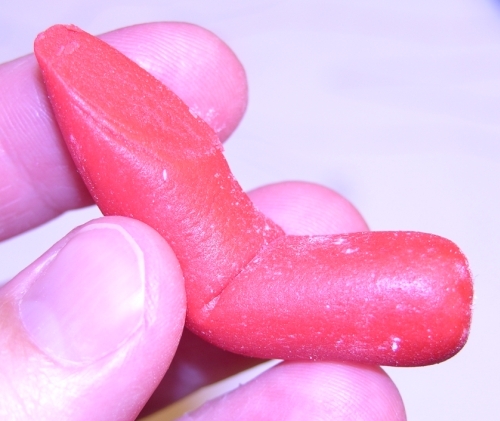 Just remember that it's not edible so warn your recipients. Thank you for the tutorial, it is very helpful and easy to follow. Thanks for sharing! Holy smokes – that is one awesome tutorial! Thanks for sharing! Hi great tutorial..would it be ok to make the figures the night before putting them on the cake if so how and where to store them?? You can definitely make them in advance. I usually make mine weeks in advance! I store them somewhere clean and dry, often on blocks of styrofoam. I work in my kitchen but then move figures to the living room when I'm cooking so they are not at risk from steam or grease or anything. When I had a bigger kitchen, I kept them in a cupboard behind a closed door. Pretty much anywhere secure and clean will be fine. Thank you very much – the princess (of Princess and the Oea) rocked. You are so talented. This is absolutely amazing! I need to do an 18-wheeler truck cab that needs to keep its form for a couple of weeks. Do you have any similar tutorials for that or if not, advice? The only cake you can use for that length of time would be a long-term shelf-stable cake like fruitcake. Or you could use styrofoam dummies or rice cereal treats. But you would just make a box shape, shape the cab, and place on the wheels.